Unable to agree with the views of the Chief Justice of India Dipak Misra and Justice A M Khanwilkar “as a matter of principle”, Justice Chandrachud today observed that “dissent is a symbol of vibrant democracy” and “voices in opposition cannot be muzzled by persecuting those who take up unpopular causes” to hold that a Special Investigating Team must be appointed to probe the arrest of five activists in connection with the Bhima-Koregaon violence and probe must be monitored by the court. Justice D Y Chandrachud, in his dissenting judgment, said, “I am unable to agree with the views expressed by the learned Chief Justice and my learned brother Justice AM Khanwilkar”. …I am of the view that while the investigation should not be thwarted, this is a proper case for the appointment of a Special Investigating Team. Circumstances have been drawn to our notice to cast a cloud on whether the Maharashtra police has in the present case acted as fair and impartial investigating agency. Sufficient material has been placed before the Court bearing on the need to have an independent investigation. “Hence, following the line of precedent of this Court…, I am firmly of the view that a Special Investigating Team must be appointed. The investigation shall be monitored by this Court. The Special Investigating Team shall submit periodical status reports to this Court, initially on a monthly basis,” said Justice Chandrachud. He also ordered that the interim order passed by the Court on 29 August 2018 shall continue to hold the field for a further period of three weeks within which it would be open to the arrested individuals or any one or more of them to apply for bail before the Court of competent jurisdiction. In his dissenting judgment, Justice Chandrachud took note of the “unfair press conference” by the Pune Police where allegations of plot to attack the Prime Minister have bridled away to the media, the letters said to be authored by the activists and the panch witnesses accompanying police out of Maharashtra. “The conduct of the Pune police in utilising the agency of the electronic media to cast aspersions on those under investigation fortifies the need for an investigation which is fair. When the Joint Commissioner of Police and the Additional Director General of Police cast aspersions in the public media against persons whose conduct is still under investigation, and in disregard of proceedings pending before a judicial forum, it is the duty and obligation of this Court to ensure that the administration of criminal justice is not derailed. “I make it absolutely clear that nothing in this order shall be construed as any observation on the merits of the investigation which is to take place. The purpose of the direction which I propose to give is to ensure that the basic entitlement of every citizen who is faced with allegations of criminal wrongdoing, is that the investigative process should be fair. This is an integral component of the guarantee against arbitrariness under Article 14 and of the right to life and personal liberty under Article 21. If this Court were not to stand by the principles which we have formulated, we may witness a soulful requiem to liberty,” said Justice Chandrachud. Before taking up the facts of the case pertaining to complaint moved by Historian Romila Thapar and other distinguished individuals against the arrest of Gautam Navalakha, Sudha Bharadwaj, Varavara Rao, Arun Ferreira and Vernon Gonsalves, Justice Chandrachud took note, though without making an express mention, of the recent landmark judgements passed by the Supreme Court, be it decriminalising homosexuality or decriminalising adultery. “Our recent decisions reiterate the value of individual dignity as essential to a democratic way of life. But lofty edicts in judicial pronouncements can have no meaning to a citizen unless the constitutional quest for human liberty translates into securing justice for individuals whose freedom is under threat in specific cases,” said he. “The role of the Court involves particularly sensitive balances when the state seeks to curb freedom to investigate perceived breaches involving offences against the state. Voices in opposition cannot be muzzled by persecuting those who take up unpopular causes. Justice Chandachud spoke about how dissenting voices also have their space under the Constitution. “There is a serious allegation that the arrests have been motivated by an attempt to quell dissent and to persecute five individuals who have pursued the cause of persons who have suffered discrimination and human rights violations. In approaching the present case, the Court must be mindful of the need not to thwart a criminal investigation leading to the detection of unlawful acts. Equally, the Court has to be vigilant in the exercise of its jurisdiction under Article 32 to ensure that liberty is not sacrificed at the altar of conjectures. “Individuals who assert causes which may be unpopular to the echelons of power are yet entitled to the freedoms which are guaranteed by the Constitution. Dissent is a symbol of a vibrant democracy. Voices in opposition cannot be muzzled by persecuting those who take up unpopular causes. Where, however, the expression of dissent enters upon the prohibited field of an incitement to violence or the subversion of a democratically elected government by recourse to unlawful means, the dissent ceases to be a mere expression of opinion. Justice Chandarchud also recollected CJI’s writing in former ISRO Scientist Nambi Narayanan’s case wherein CJI Misra had said, “The lackadaisical attitude of the State police to arrest anyone and put him in police custody has made the appellant to suffer the ignominy. The dignity of a person gets shocked when psycho- pathological treatment is meted out to him. A human being cries for justice when he feels that the insensible act has crucified his self-respect”. Justice Chandrachud then said, “The fact that the payment of compensation was ordered nearly 24 years after the wrongful arrest is a grim reminder about how tenuous liberty can be and of the difficulty in correcting wrongs occasioned by unlawful arrest”. “There can be no manner of doubt that the deprivation of human rights seriously impinges upon the dignity of the individual for which even compensation may not constitute an adequate recompense. This theme echoes recurrently in the judgments of this Court in Kiran Bedi v Committee of Inquiry, Delhi Judicial Service Association v State of Gujarat, Joginder Kumar v State of UP and DK Basu v State of West Bengal,” he said. On objection to locus of complainants filing the petition against arrest and for a court-monitored probe by SIT, Justice Chandrachud noted that the petitioners Romila Thapar, Devaki Jain, Prabhat Pattnaik, Satish Deshpande, and Maja Daruwala are all distinguished individuals. He said, “I would not have been inclined to accept a technical argument of this nature in view of the constitutional imperatives for this Court to intervene when human freedoms and liberties are alleged to be imperilled. “The jurisdiction under Article 32 is wide enough to reach out to injustice in any form and originating in any source. Securing human liberty and dignity must occupy an important space in the judicial docket. Liberty and freedom are defining values of our Constitution. The institutional role of this Court as a constitutional adjudicator should brook no technicalities which obstruct the cause of justice. When a group of citizens has moved this Court with an impassioned plea about the violation of human rights --in the present case no less than five distinguished citizens with a track record of service to the nation have done so — the Court must look beyond locus into the heart of the matter. The Court will not interfere in every case merely because it has the jurisdiction. But its duty to scrutinise, perceive and remedy violations of human rights is non-negotiable,” said he. He also noted that the arrested persons had also subscribed to the averments in the petition making the argument on locus redundant. “In the present case, we have no manner of doubt that the initiation of the proceedings under Article 32 is not motivated by extraneous reasons. The law is not a respecter of social, economic or political status and every litigant who seeks access to justice has to be treated evenly. Here we have five citizens who have invoked the jurisdiction of this Court in extraordinary circumstances where they claim that a group of human rights activists has been targeted by the state police. Each of those five individuals has joined in these proceedings,” he noted. Justice Chandrachud said, “Over the course of the last decade, the jurisdiction of this Court has evolved under Article 32 to order the constitution of a SIT”. He traced the pattern from the case of National Human Rights Commission v State of Gujarat, where a SIT was constituted in a matter involving a serious element of communal disharmony, to Common Cause v Union of India where the test for the constitution of a SIT was a prima facie abuse of power and authority by the Director of the Central Bureau of Investigation to scuttle an investigation and enquiries into coal block allocations to the case of Sunita Devi v Union of India where an independent and impartial SIT was constituted where it was found that the investigation into the murder of a family was lackadaisical and the real culprits had not been put to trial. “These instances indicate the diversity of settings in which this Court has ordered the constitution of SITs,” said Justice Chandrachud. 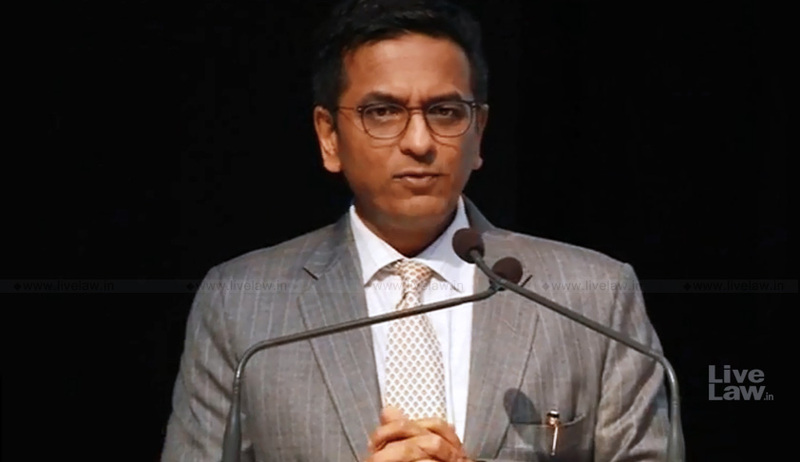 On the argument of the complainant that SIT has been formed where there is allegation against the political class in power, Justice Chandrachud said, “While the Court does not determine the course of the investigation, it acts as a watchdog to ensure that a fair and impartial investigation takes place. A fair and independent investigation is crucial to the preservation of the rule of law and, in the ultimate analysis to liberty itself”. Senior advocate Harish Salve had argued that a SIT has been constituted in cases where there is an allegation against the political class in power, so that the investigation is not derailed by those who are capable of intercepting it. To this, Justice Chandrachud said, “Such a construction, in my view, would restrict the width and ambit of the jurisdiction which has advisedly been entrusted to this Court by the framers of the Constitution. The fact that in a particular case, a SIT was ordered to be constituted in a situation where there was an allegation of interference with the investigation by the political establishment is not a reason to confine the exercise of the jurisdiction only to such cases. In the rights discourse, violations of law and transgressions of human rights arise in myriad situations which it may be difficult to anticipate exhaustively. Prudently therefore, the jurisdiction under Article 32 is not hedged in by technicalities nor would it be wise to confine it to stated categories. “The ultimate touchstone for the exercise of the jurisdiction is that a violation of the fundamental human freedoms relatable to the cardinal values of liberty, dignity and equality under Part III of the Constitution is in issue,” he put in perspective. Justice Chandrachud referred to apex court’s decision in Narmada Bai v State of Gujarat wherein the petitioner filed a writ petition under Article 32 for the issuance of a writ directing the CBI to register a FIR in a case pertaining to an alleged fake encounter in which her son was killed. A two-judge Bench had concluded that even though the charge-sheet had been filed, in view of the circumstances brought to the notice of the Court, the involvement of the police officials of the State of Gujarat in the investigation was “undesirable” and CBI was directed to take charge of the investigation. “This case supports my view that in the interest of justice, and particularly when there are serious doubts regarding the investigation being carried out, it is not only permissible, but our constitutional duty to ensure that the investigation is carried out by a special investigation team or a special investigative agency so that justice is not compromised,” said Justice Chandrachud. Distinguishing it from facts in the case titled Divine Retreat Centre v State of Kerala were the high court had constituted a SIT taking suo motu cognizance of an anonymous letter, Justice Chandrachud said, “The petitioners in the present case are not anonymous. There has been no argument that the petitioners have been motivated by personal gain or political considerations”. Justice Chandrachud noted that besides the jurisdiction to order the constitution of a SIT, the proceedings of this Court are replete with instances where an investigation has been monitored under the authority of this Court. “In Vineet Narain v Union of India, this Court in the context of the widely publicised Jain Hawala transactions case ordered a court-monitored investigation to ensure that government agencies discharged their duties and functions bearing in mind the tenets of equality and the rule of law. In doing so, this Court emphasized the need to retain public confidence in the process of investigation. In Babubhai Jamnadas Patel v State of Gujarat, a two-judge Bench, while noting that investigation of offences is normally the function of the investigating agency emphasised that where extraordinary facts or situations are involved, it is the duty of the High Courts and of this Court to intervene to ensure that the rights of citizens are duly protected,” he said. He also referred to the Centre for Public Interest Litigation v Union of India, where a court-monitored investigation was ordered in a public interest litigation which focused on the need for a thorough and impartial investigation into the 2G Spectrum scam. Justice Chandrachud noted that On 29 August, 2018, the court had issued notices to the State of Maharashtra and to the others impleaded as respondents to the proceedings. Within a few hours of the conclusion of the court hearing, a press conference was held in Pune by Shivarjirao Bodhke, the Joint Commissioner of Police proclaiming that the Pune police had more than sufficient evidence against the five individuals whose transit remand was stayed by the apex Court while ordering them to be placed under house arrest. “This is disconcerting behaviour – the Joint Commissioner sought in this oblique manner to respond to the interim order of this Court by recourse to the electronic media,” said the judge. He also noted that on 31 August 2018, a press conference was addressed by a team of senior police officers headed by Parambir Singh, ADG (Law and Order), Maharashtra. During the course of the press conference letters (many of which should form part of the case diary) were selectively flashed and read out. According to the petitioners they were also leaked to the media. On 1 September 2018, the ADG (Law and Order) appeared on a television programme where he stated to have agreed that the letters which had been read out by him were still undergoing forensic analysis together with the electronic devices. On 8 June 2018, an alleged letter was released by the police to the media a little before the proceedings for remand before the competent court (in the June arrests), alleging that the arrested persons were plotting to attack the Prime Minister. On 4 July 2018 when the arrested persons were to be produced before the Court in Pune, a letter attributed to Sudha Bhardwaj was sensationally telecast on a television channel linking her with the unlawful activities of certain groups. “A serious grievance has been made about the fact that these letters have neither been placed before the Court of law nor did they find mention in the transit remand applications moved before the CJM, Faridabad by the Pune police,” noted Justice Chandrachud. “This facet of the case of serious concern. The manner in which the Joint Commissioner of Police and the Additional Director General of Police (Law and Order) Maharashtra have selectively disclosed purported details of the investigation to the media and on television channels casts a cloud on the impartiality of the investigative process,” said he. “The use of the electronic media by the investigating arm of the State to influence public opinion during the pendency of an investigation subverts the fairness of the investigation. The police are not adjudicators nor do they pronounce upon guilt. In the present case, police briefings to the media have become a source of manipulating public opinion by besmirching the reputations of individuals involved in the process of investigation. What follows is, unfortunately, a trial by the media. “That the police should lend themselves to this process is a matter of grave concern. The investigation commenced as an enquiry into the Bhima-Koregaon violence. The course of the investigation was sought to be deflected by alleging (in the course of the press briefings of the police) that there was a plot against the Prime Minister. Such an allegation is indeed of a serious order. Such allegations require responsible attention and cannot be bandied about by police officers in media briefings,” said the judge. He also noted that during the hearing, the Centre made no effort to submit that any such investigation is being conducted in regard to the five individuals and on the contrary, the Additional Solicitor General fairly stated that there was no basis to link the five arrested individuals to any such alleged plot against the Prime Minister. “Nor does the counter affidavit makes any averment to that effect. All this has certainly a bearing on the basic question as to whether the Maharashtra police can now be trusted to carry out an independent and impartial investigation,” said Justice Chandrachud. Noting that Section 41B of Code of Criminal Procedure emphasizes the importance of an independent witness while making an arrest, Justice Chandrachud noted that the two panch witnesses in the present case are employees of the Pune Municipal Corporation. “It is not disputed before this Court that they travelled as part of the police team which made the arrest, he said while referring to D K Basu vs State of West Bengal case on procedure while making an arrest.